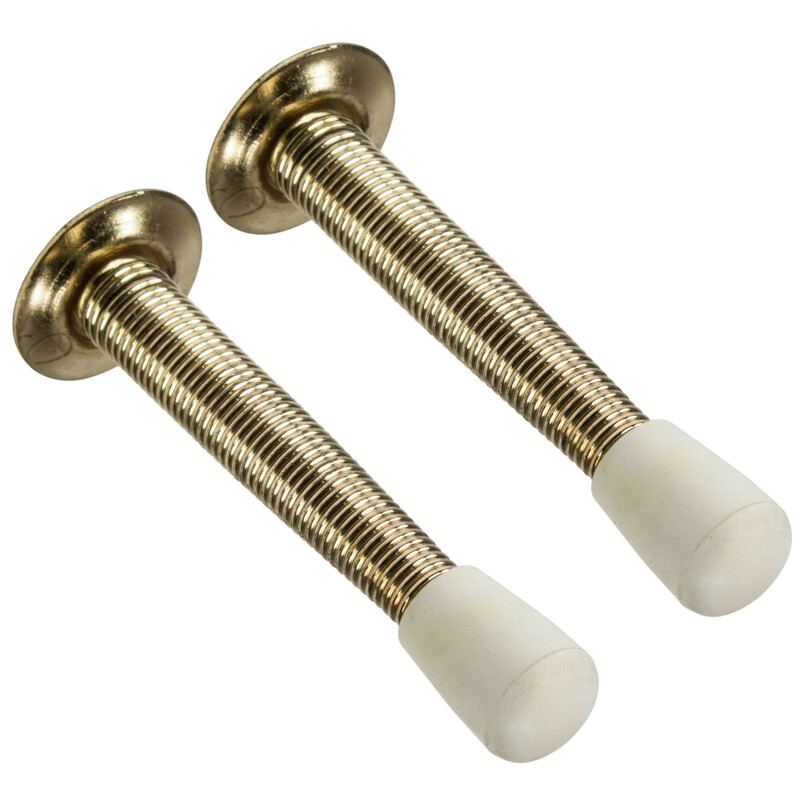 Mintcraft polished brass spring steel maintenance grade spring door stops with 5/8 inch rubber tip. 3 inch projection by 1 inch wide. Round mounting base with screw. 2 pack card flexible design for safety and easy cleaning.